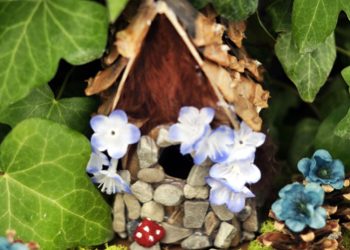 Celebrate Earth Day by making a home for your backyard fairy! You'll find all the supplies you need to build fabulous fairy houses. You've probably never spotted a fairy in your backyard. That's because you haven't given them a proper home yet!